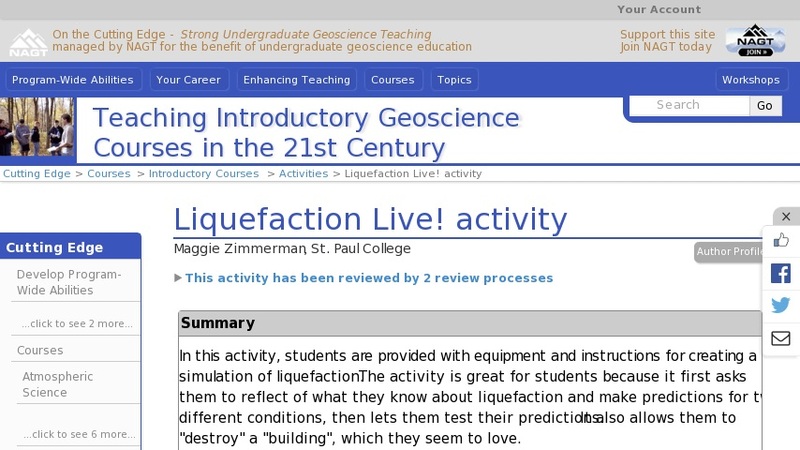 This activity is done after students have completed or are in the process of completing reading and lectures on ground water flow, earthquakes, and geologic hazards. In class, students receive all the materials necessary to complete the activity, along with worksheets that contain instructions and questions that need to be answered. Their task is to make predictions, execute the activities, and comment on what the outcomes.